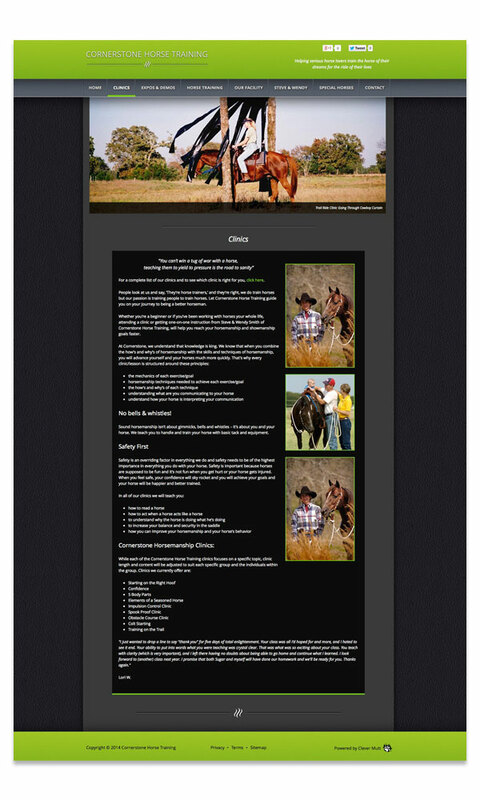 "Over the past few years I have had Clever Mutt™ create and design two websites for my businesses. I cant's say enough about how great they are and how they helped me reach my target audience with their insight. One of the things I like about the team at Clever Mutt™ is that they allow you to be as creative as you want with your website, not pigeon holing you to web design parameters like other companies. I could go on and on but I think you get the idea. Great job!" 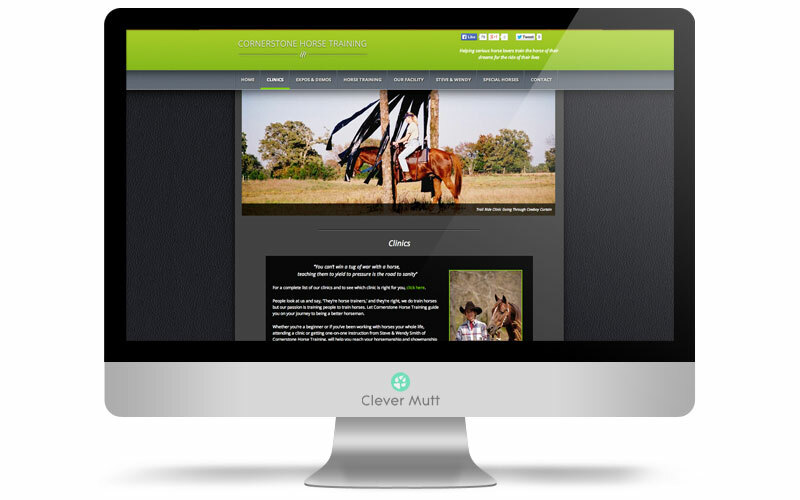 Cornerstone Horse Training hired Clever Mutt™ to provide a website makeover, powered by the Clever Mutt™ Portal web CMS. The new modern website includes a range of self-managed features including galleries, rotating content, Clever Mutt™ Mail email newsletter marketing, logo design and much more. 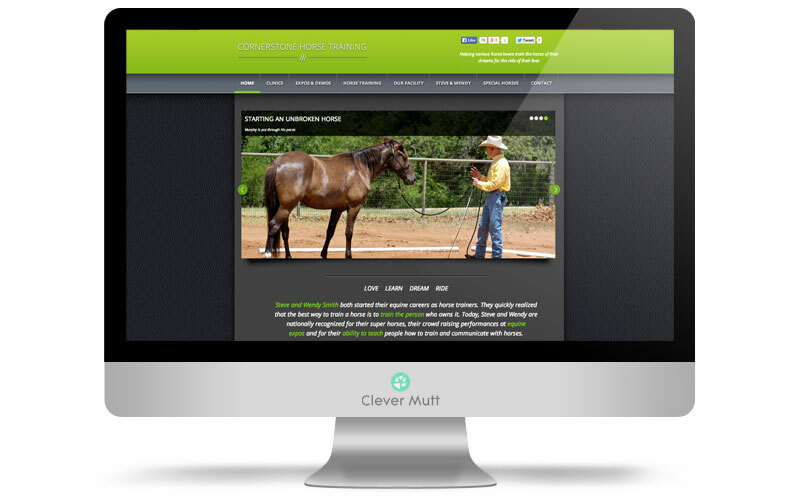 Clever Mutt™ also provided ongoing social media marketing consultancy services. Steve and Wendy Smith both started their equine careers as horse trainers. They quickly realized that the best way to train a horse is to train the person who owns it. Today, Steve and Wendy are nationally recognized for their super horses, their crowd raising performances at equine expos and for their ability to teach people how to train and communicate with horses.